Rangers fans have voted overwhelmingly for manager Steven Gerrard to make a key change in defence for the trip to Tynecastle this weekend. Former captain Lee Wallace has been out in the cold pretty much since the debacle at Hampden, and the mass majority of fans want him back at left back for the trip to meet Craig Levein’s out-of-sorts side, with a stunning 87% voting for his inclusion in defence over Andy Halliday. 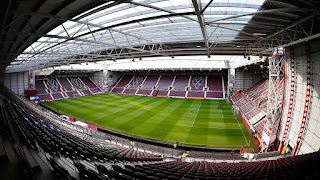 Obviously, the former Scotland international is ineligible for the visit of Villarreal on Thursday, with Gerrard having elected to exclude him from the official Europa League squad list along with the returning Jordan Rossiter, but when it comes to the vital clash in Edinburgh, fans want the best we have available. And if first choice Croat Borna Barisic remains unfit, which appears likely, rather than Jon Flanagan or Andy Halliday continuing to deputise for him, fans want the old stalwart back in the XI. And we endorse that fully. SG made it quite clear at the AGM today, he rates Flannagan and Halliday at LB before he rates Wallace, so unless both of these guys are suspended or injured then Wallace has no chance. I think Gerrard has been great so far, barring a couple of decisions but to say he has better options than Wallace for left back is totally ridiculous. How can Flanagan (a RB) and Halliday (a midfielder) be better than our former captain and genuine left back? It contradicts what he has said previously about rating him highly and looking forward to Wallace and rangers sorting out their differences so he would be available for selection. The knives are out for Wallace, sadly. But they better not screw up, whoever they put in that position. Hearts at home are always a handful and we can't afford to be complacent. When was the last time anyone saw Wallace play a competitive game? I would have thought Gerrard will know who is his best left back. Fans living in the past and because “he’s one of us” is nonsensical. He’s done so let’s embrace the team that SG puts on the park.